Occupational classification systems are schemas for grouping jobs and job data. Government agencies often use occupational classification systems to standardize the way job data are collected and how jobs are described. For example, the U.S. Bureau of Labor Statistics (BLS) uses a standard classification structure to collect and sort national job data, such as wages, employment projections, and occupational outlook information. The census also uses this system to collect and present its data on jobs spanning geographic regions and industries in the United States. Because of the standardized nature of many classification systems, they may be used to compare job information across organizations and government agencies. Occupational classification systems are developed in a variety of ways. One commonly used qualitative development method is known as the top-down approach. Such systems are often hierarchical and are developed by experts who have knowledge of the occupation or job information. The information is grouped into a structure of more generalized occupational groups, using characteristics such as work function, job title, or skill level. Occupational classification systems can have two or more hierarchical levels in which to group jobs. Because the developers usually tailor classification systems for a specific purpose, there is no consistency in the number of hierarchical levels or number of job titles included. A second empirical approach involves applying statistical techniques such as cluster analysis or factor analysis to the knowledge, skill, and ability data associated with various jobs. The job analysts name the resulting clusters that become the hierarchical levels within the structure. These classification groupings are based on data rather than subjective opinion, which can be advantageous for purposes such as validation and research. However, classification systems developed using only statistical methods can be difficult to interpret and may lack the face validity necessary to be widely accepted. In response, a third approach combines the qualitative and quantitative approaches described above. For example, experts design and develop a structure of occupations using the top-down approach, based on some need or organizational objective. Once the hierarchical structure has been established, statistical analyses are used to verify, modify, or provide validation support for the rationally derived hierarchical classification schema. 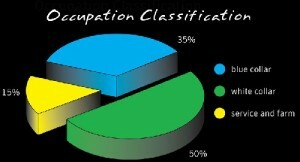 In the above overview, terms such as occupation, job, and occupational category were used in the explanation of occupational classification systems. Although some people tend to view the terms job and occupation as synonymous, they are not. Therefore, to clarify and eliminate potential confusion, definitions are provided below. A position is a group of specific tasks performed by a single worker. In the sections that follow, occupational classification systems are described in terms of some of their commonly known uses. In addition, five examples of both domestic and international occupational classification systems are discussed. Finally, advantages and disadvantages of classification systems are described, and suggestions for improvement are provided. According to Human Resources Development Canada, occupational classification systems serve three main functions. The first function is the collection of occupational statistics. Economists and statisticians use these systems when collecting census and other data such as data on worker mobility, technological change, and occupational employment statistics. Second, occupational classification systems are often used to analyze changes or patterns in the labor force. Government agencies and organizations use these systems to understand changes in workforce demographics and other important labor market trends. This information is sometimes used to guide policy and develop systems for training, recruiting, and job matching. In addition, the information may be used to draw comparisons across work that, on the surface, may appear quite different. A third function of occupational classification systems is both for career exploration and planning. It is important for job seekers, employment counselors, and employers to understand the requirements and descriptions of jobs and occupations so they may assist people in finding professions that match their skills and interests. Career guidance counselors use these systems to educate students or workers considering a career move or job transition. By matching job seekers’ interests and level of knowledge and skill in job-related activities with those of various occupations, they can make an informed choice about a new career to pursue. The SOC was originally released in 1977 by the U.S. Department of Commerce to provide a way to cross-reference and aggregate data collected by other social and economic statistic reporting programs. As many programs in the U.S. government began to collect statistical data, a need grew for a unified occupational classification system for the federal government. With the help of various government organizations, a system was developed for statistical reporting purposes. Its classifications are based on the type of work performed and, in some cases, the level of skill and education requirements. The current SOC contains four levels of aggregation within its hierarchy. The first and most general category is known as the major group level. There are 23 major groups in the SOC. Within the major group level are 96 minor groups, which are less general than the major groups. The third level in the hierarchy is the broad occupation. There are 449 broad occupations. The fourth and most specific level is the detailed occupation. There are 821 detailed occupational titles at this final level of the SOC. It is at this level of detail that brief occupational descriptions are provided and jobs are typically grouped. The table below provides an example of the four-tiered hierarchical structure of the SOC. The O*NET-SOC is the result of a merger between the O*NET occupational system and the SOC. O*NET was once based on an older coding and classification system known as the Occupational Employment Statistics (OES). Shortly after the final revision of the SOC, the Office of Management and Budget mandated that all federal reporting agencies adopt the SOC as the standard classification and coding system. The National O*NET Center then transitioned its OES-based codes and titles to an SOC-based system, utilizing SOC occupational codes and titles. In addition to incorporating the four levels of the SOC, O*NET added a fifth level of occupational detail to accommodate for occupations in O*NET’s original list that did not “fit” well into the SOC’s structure. In addition to being a classification structure, O*NET also provides descriptive data on over 900 occupations. Because of the cross-occupational nature of O*NET’s descriptive information such as knowledge, skills, abilities, work activities, and work context, direct comparisons between occupations can be made. This system of occupations provides users with valuable data and online tools for use in vocational guidance and career exploration activities. The O*NET-SOC classification system is by far one of the most comprehensive classification structures in the world. The O*NET-SOC provides an excellent system for grouping occupations, jobs, or job data for government or an organization’s data collection effort. While the SOC, O*NET-SOC, and other classification systems discussed herein have been developed by both government and quasigovernmental agencies, private organizations have also developed occupational classification systems to meet their needs. As an example, consider the organization Monster.com, a popular online job-posting Web site. In recent years, Monster decided to incorporate an occupational classification system into its resume database. After extensive research both domestically and abroad, the SOC was chosen to be the framework for a system that would serve to organize, by job title, over 40 million resumes. Unfortunately, the SOC was insufficient to classify all new job seekers’ resumes and those already in Monster’s archival database, so tailoring it became essential. For example, the SOC has limited detail in occupational areas such as computers, information technology, and finance. Monster, with the help of occupational classification experts, expanded these and other areas to meet its needs while at the same time maintaining the SOC-based coding structure. Monster initially named it the SOC+, but they customized it to become more Monster specific. Soon after, it came to be called the MOC (i.e., the Monster Occupational Classification). The ISCO-88 is a system currently being revised and maintained by the European Union and has been adopted by many countries in Europe. According to the National Research Council, the ISCO-88 has three primary objectives: (1) to facilitate international discussion regarding occupations through its usage; (2) to provide international occupational data for research, decision making, and other activities; and (3) to serve as a model, not a replacement, for countries developing their own occupational classification systems. The hierarchical system contains 10, 28, 116, and 390 titles at various levels, and occupations are clustered according to duties performed. The information reported about each occupation includes a brief paragraph of duties performed and a listing of its general education requirements. The NOC is Canada’s occupational system that provides a hierarchy based on skill level, skill type, education requirements, and industry type for each occupation. The hierarchy contains 26, 47, 139, and 514 titles at various levels and contains tasks reported for each job. Information such as education, training, experience, and licensing information are provided for each occupation. Using occupational classification systems provides several advantages to organizations or agencies. First, occupational classification systems provide an excellent framework to organize jobs and work activities. Organizations may group many jobs into one category, thus streamlining various human resources functions such as training course design and assessment tool development. Second, because classification systems tend to be hierarchical in nature, jobs or occupations can be grouped at whatever level necessary to fulfill the objectives of the classification effort and thus the organization’s goal. Third, a standardized occupational system may be used for occupational or cross-job comparisons and allows different systems to “talk” to each other. 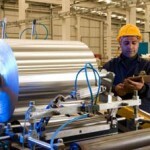 Some examples of the disadvantages of occupational classification systems are presented here. First, occupational classification systems tend to be inflexible. They are often difficult to adapt to adjustments in work structure. If necessary updates to the system are not made in a timely manner, the system will become obsolete. Second, an occupational structure may lack face validity and coverage. Many occupational classification systems currently in use are not easily understood by the average person. Making correct classifications and using the coding system properly are often reserved for experts, such as job analysts or industrial psychologists. Another disadvantage is that occupational classification systems can be inefficient practical tools. It is often time consuming and difficult to peruse an entire four-tiered classification structure to group all jobs within a single organization into the most appropriate categories. Finally, the level of generality and/or specificity of the occupations listed as part of a hierarchy are often inconsistent, thus making the task of classifying jobs more difficult. When developing a classification system, occupations at their respective hierarchical levels should be as close to the same level of generality or specificity as possible to increase the ease of grouping jobs. Occupational classification systems are developed for a variety of purposes. Often, they are developed by government agencies to carry out objectives such as (1) to assist economists and statisticians in their data collection efforts, (2) to analyze changes or patterns in the labor force and provide labor market information, and (3) to assist individuals in career exploration, career planning, and job seeking. Although all of the occupational classification systems discussed have been useful, the flexibility, face validity and coverage, efficiency, level of generality, and questionable validity continue to present challenges for their developers and users. As a result, organizations such as the National O*NET Center and Monster.com attempted to overcome these challenges by developing classification systems that are dynamic and adaptable, to accommodate frequent changes in jobs and technology. However, there is still clearly a need for further research and practice to uncover newer, streamlined, and valid procedures for developing and using occupational classification systems in a variety of settings. American Institutes for Research. 1996. Occupational Classification Systems Review List. Washington, DC: Author. Brannick, M. T. and Levine, E. L. 2002. Job Analysis: Methods, Research, and Applications for Human Resources Management in the New Millennium. Thousand Oaks, CA: Sage. Levine, J. D., Nottingham, J., Paige, B. and Lewis, P. 1999. Transitioning O*NET to the Standard Occupational Classification. Report prepared for the U.S. Department of Labor/Employment and Training Administration. Raleigh, NC: National Center for O*NET Development. National Research Council. 1999. The Changing Nature of Work: Implications for Occupational Analysis. Washington, DC: National Academy Press. Peterson, N. G., Borman, W. C., Jeanneret, P. R. and Fleishman, E. A., eds. 1999. An Occupational Information System for the 21st Century: The Development of O*NET. Washington, DC: APA. U.S. Department of Commerce. 2000. Standard Occupational Classification Manual. Springfield, VA: National Technical Information Service, and Lanham, MD: Bernan.